(SPOT.ph) Summer has officially arrived and what dishes go best with the hot and humid season? Seafood, of course! Light on the tummy, mild flavors, and refreshing—seafood is a no-brainer go-to meal when you're tired of your usual greasy protein. What's best about these delectable ocean dwellers is they're available all year round thanks to the country's rich seafood selection. 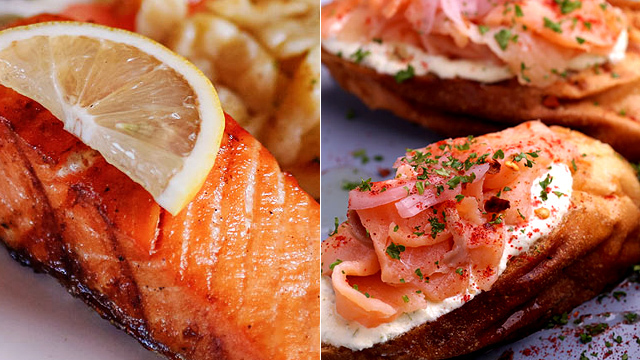 Here are some fish dishes that will definitely get you hooked. Rico Rico’s Marisco (P320/small, P595/to share) will open up your senses to the flavors of the sea. 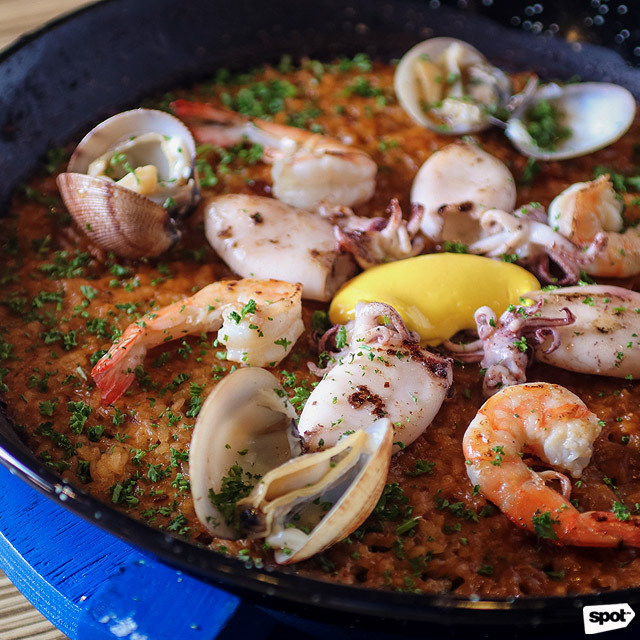 The seafood paella is finished with large portions of squid, clams, and shrimp on top of its deep orange-hued rice, which is already tasty on its own. We suspect the rice base is cooked with seafood broth to add depth to the dish. Mix these in with their scoop of signature aioli and you've got yourself one heck of a meal. When Chef Francis Lim of Tipple and Slaw fame created Common Folk’s menu, he had one thing in mind: Comfort food. And did he whip up a slew of dishes that warms the soul! 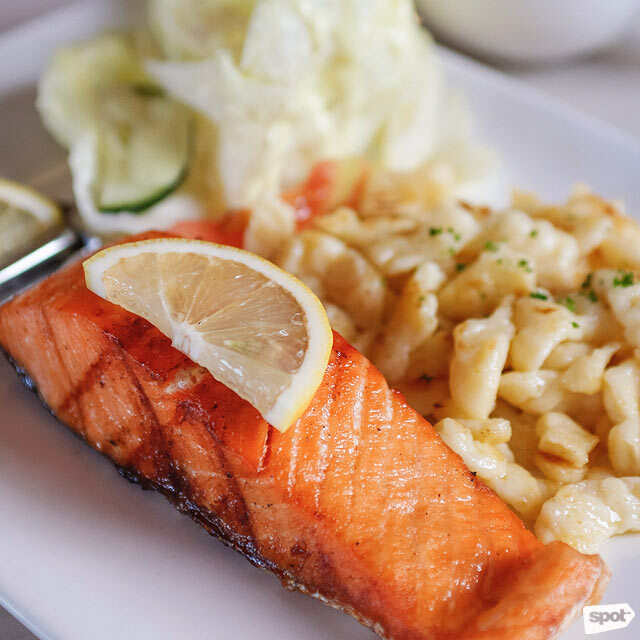 One good example of that is the Salmon to Love (P260). 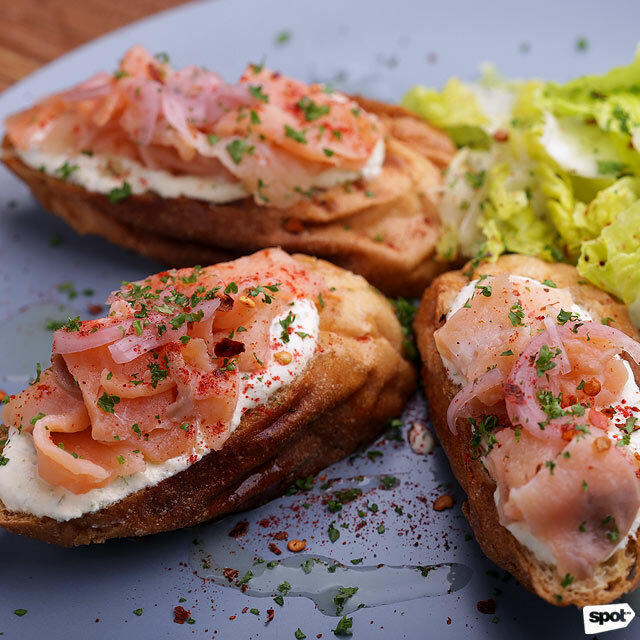 Fish lovers will munch this down in a second as it's made with smoked salmon, herbed cream cheese, chili flakes, and pickled red onions resting on a bed of crispy sliced bread. While Swiss cuisine may be an uncommon concept, Kehl’s Swiss-Italian Restaurant has a list of reasons why everyone should try it. Apart from assorted cheese, cured meat, and sausage platters, the restaurant also boasts ala carte options like the Lachs (P355). A slab of grilled pink salmon is the star of the dish, which is complemented by a simple but zesty wine sauce that will leave you licking the plate spotless. Kehl’s Swiss-Italian Restaurant is at 163 Aguirre Avenue, BF Homes, Parañaque City. This new Asian restaurant in Kapitolyo prides itself with providing a wide selection of baos and Japanese rice meals. 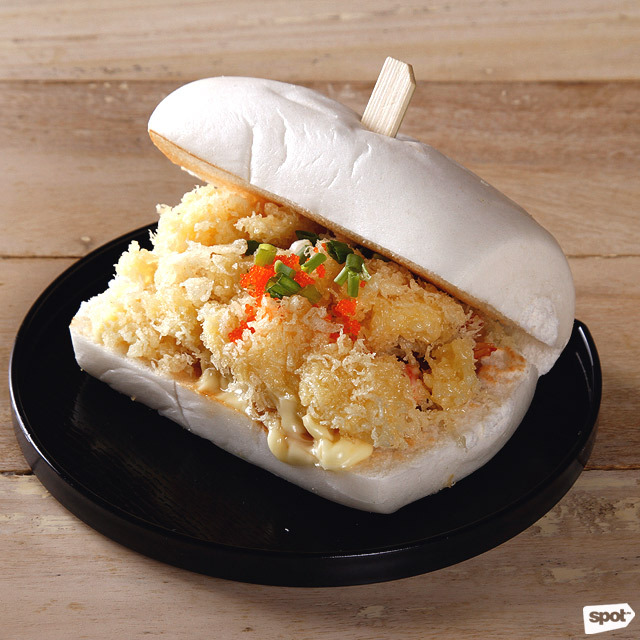 One fishy item we're particularly hooked on is the Crazy Bao (P120), where kani is blanketed by golden crunchy panko and topped with savory eel sauce, tobiko, and a generous dollop of no-fail Japanese mayonnaise. Of course, a bao isn't a bao without two steamed buns sandwiching everything. Don Bao is at 1 Brixton Street, Kapitolyo, Pasig City. Annam Noodle Bar is not your typical Vietnamese joint. Modern and fusion recipes can either leave you outraged or downright bemused—take for example the Smoked Salmon Tofu Cream Cheese Banh Mi (P250). 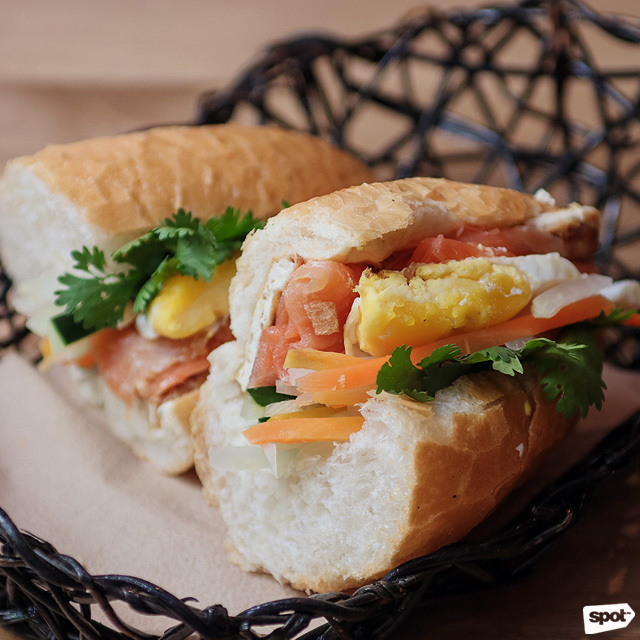 Unlike traditional banh mi, this baguette sandwich is stuffed with milky smoked salmon, tart pickled radish and carrots, as well as velvety cream cheese and deep-fried tofu bits. Having a hard time making sense of this combination? Try it for yourself and you'll thank us later! Annam Noodle Bar is at 2/F Newport Mall, Resorts World Manila, Newport City, Pasay City. Sometimes, the simpler, the better. 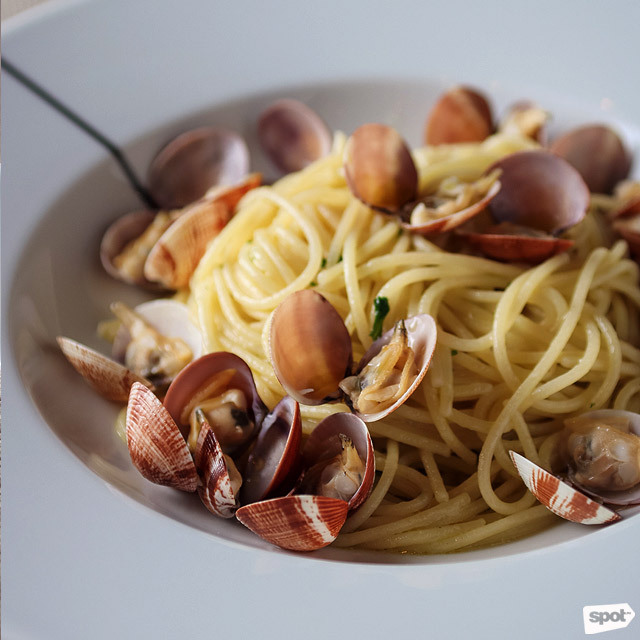 The Spaghetti Alla Vongole (P575) is perhaps one of the most talked-about items on Paper Moon's menu. The briny flavor of the clams stands out against the minimally seasoned olive oil-based pasta dish. Pair this with something equally light, like a glass of the Italian restaurant's best white wine. Paper Moon is at Knightsbridge Residences, Century City, Makati City. Yuan Bistro’s Laksa Tantanmen (P335) will get your taste buds swimming in a rich, creamy coconut-infused broth that's not as overwhelming as you'd think. The layers of shrimp, lobster balls, and tiger prawns definitely give the soup depth in terms of flavor, while the ramen noodles make a perfect base thanks to its familiar texture. The Laksa Tantanmen's heat is also tolerable, making it appealing even to those who aren't used to too much spiciness. Yuan Asian Bistro is at Unit 4 Victoria Brixton Plaza, 1 Brixton Street, Kapitolyo, Pasig City. 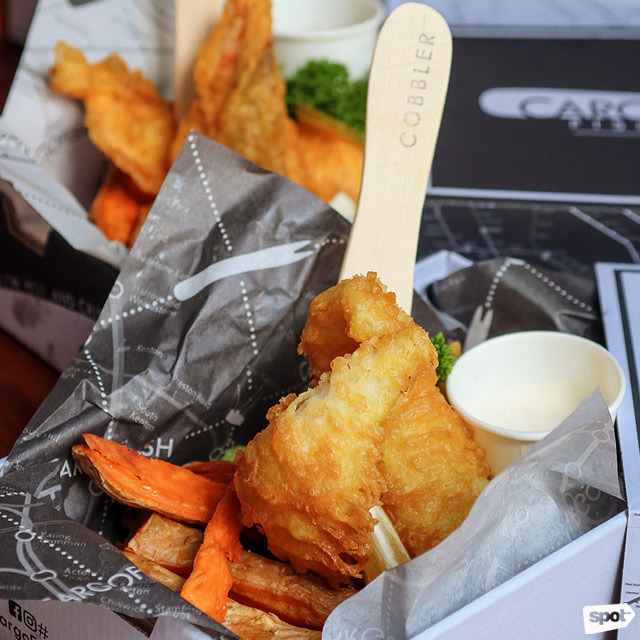 From the chefs behind brunch place Early Bird Breakfast Club comes CargoFish, a British-themed joint that offers fish and chips. Order the Cobbler (P325) variant if you want it the traditional way, or you can get the Scampi (P305) if you’re feeling adventurous! 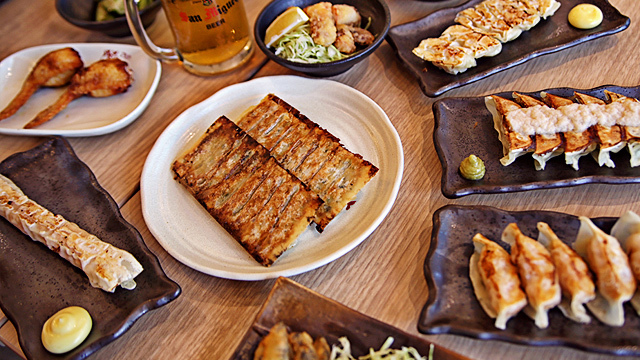 Their deep-fried seafood all come in a signature beer-batter that gives it a distinctive golden color and a beautiful crackling sound upon first bite. Light and airy, this British dish is best with beer or their classic lemonade! Cargofish is at 4/F Uptown Place Mall, Uptown Bonifacio. 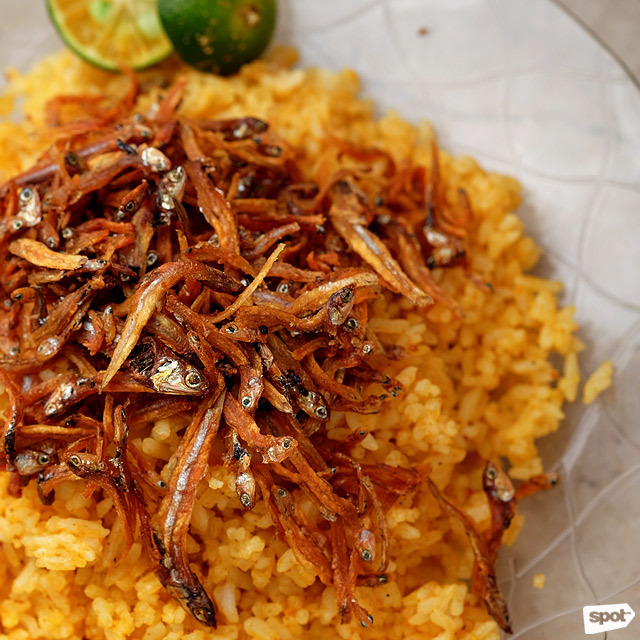 The Aligue Rice and Fried Dilis (P285) will take you back to your lola’s table during long vacations in the province. The sunset-colored aligue rice is borderline indulgent but surprisingly not cloying. It's just the right match to a serving of fried anchovies as it cuts the saltiness of the dilis. Poblacion Dining Room succeeds at putting together a menu that will make you reminisce about the good old days. At the same time, it will also make you think of your next visit. Poblacion Dining Room is at 36 Polaris Street, Poblacion, Makati City. PappaRam is a new hole-in-the-wall restaurant in Marikina City. 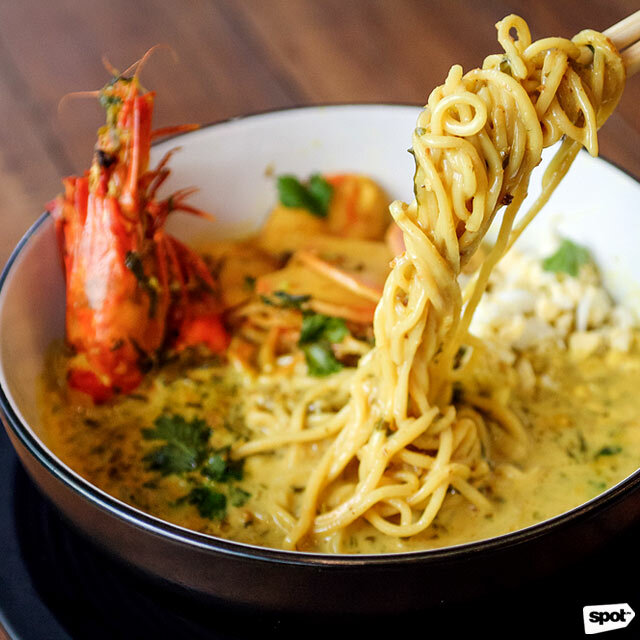 It specializes in Malaysian cuisine as inspired by Chef Ramzu Nasri’s cultural roots, serving dishes such as nasi goreng, beef rendang, and curry laksa. 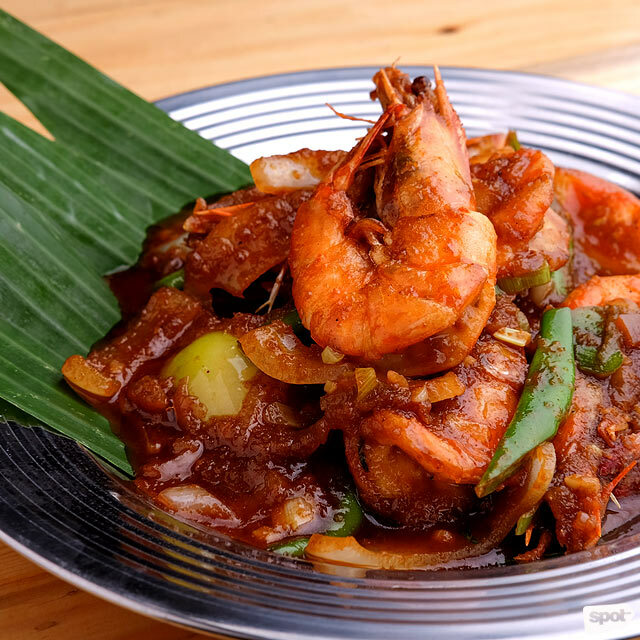 Besides that, one seafood item we’re drooling over is its Sambal Prawns (P255), which has hefty tiger prawns coated in an intense dark paste of blended chili, spices, and tamarind juice. 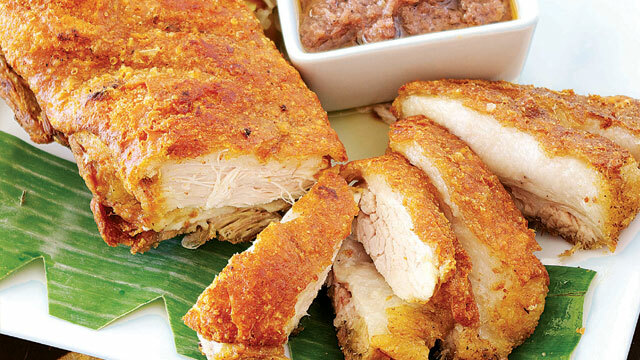 Know where to get the best bagnet in Ilocos and do the "bagnet dance"